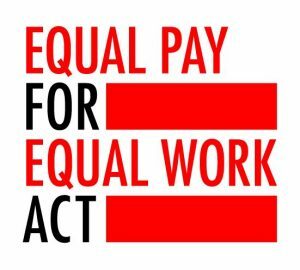 Equal Pay for Equal Work: How You Can Help! This legislative session, Colorado lawmakers will consider the Equal Pay for Equal Work Act, SB19-085. Details about the bill, the Equal Pay for Equal Work Act, SB19-085, are available on the General Assembly website at https://leg.colorado.gov/bills/sb19-085. The Colorado Women’s Bar Association also has information about the bill on their website at https://www.cwba.org/EqualPay. Stakeholder Meeting at the Capitol (room TBD) on February 14th from 1:00 – 2:00 pm. We’ll share the room information ASAP, and members who are interested in participating can contact CWBA’s or Women’s Foundation of Colorado’s lobbyists, Sara Odendahl, sodendahl@aponte-busam.com, or Jennifer Miles, jennifer@frontlinepublicaffairs.com, respectively. Pay inequity is a real and persistent problem that continues to affect women and their families in Colorado. time where unemployment is at a historic low, and employers are fighting for talented employees. This is an important issue that we hope you will take action on, should you feel moved to do so!